Nicholas Wooldridge has been in New York City over almost a decade and during that time he has established himself as the attorney-of-choice for clients involved in high-stakes, and high profile, cases. Mr. Wooldridge’s reputation for excellence in the coatroom is matched only by his reputation for care outside of the courtroom. He provides legal consumers with counsel in a down-to-earth manner, and explains the esoteric workings of justice in simple, everyday terms that can be easily understood. Mr. Wooldridge provides a confident shoulder, for those seeking his help, to lean on as they go through some of life’s most difficult moments. Mr. Wooldridge’s guidance is calm and steady and is built on a foundation of concern for those for whom he labors. The aura of confidence around Mr. Wooldridge makes it easy for people who know him to refer him to their friends and family. Since 2015, Nicholas has been practicing in Las Vegas, NV, where he established his own law firm – LV Criminal Defense. Originally from America’s southwest, Mr. Wooldridge graduated from the Boyd School of law, with honors, in 2003. Upon graduation, Mr. Wooldridge was mentored by noted Criminal Defense Attorney Lawrence Wishart, a formidable trial lawyer in Nevada. 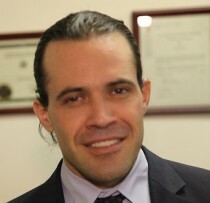 Moving to New York in 2005, Mr. Wooldridge began working at his own practice and concentrated on business disputes and other commercial litigation matters. Mr. Wooldridge has been at the epicenter of some of the most important cases seen in American jurisprudence. His skill is rapidly becoming established in international circles as the totem for cross-boundary law, finance and criminal defense. The most recent example is Azamat Tazhayakov case of Boston Marathon bombings.